Hop Hop Hurray. Fun Easter Activities on the Way | Clark County Live! If you are searching for some Easter time fun for your kiddos this year, looks like the Easter Bunny will be visiting quite a few spots! April 13: Beeping Easter Egg Hunt for Blind and Visually Impaired Children (Washington School for the Blind, Old Main Building 2214 E. 13th St. Vancouver). Activities begin at 10:00 am and will include meeting the Easter Bunny, a beeping Easter egg hunt, and tandem cycling. This is free and open to all families with a child who has a visual impairment. April 13: Easter Egg Hunt at Fairgrounds Community Park (216 NW 164th Street, Ridgefield) 10:00 AM to 1:00 PM: “Welcome EVERYONE! Join us for our Easter Egg Hunt and potluck lunch. The Easter Egg Hunt begins promptly at 10:30. Potluck lunch, games, raffles and prizes. There will be “Golden Eggs” hidden in each age group for a special prize. We will provide hotdogs, chips and beverages.” Hosted by Stacy Robinson, Berkshire Hathaway HomeService NW. Call 360-953-1341. April 20: Easter Egg Hunt at Harney Elementary (3212 E. Evergreen Blvd.,Vancouver) 10:00 am to 11:30 am: 5,000 eggs, giveaways (including two bikes), photo booth and games. Sponsored by River City Church. April 20: Vancouver Elks Lodge 823 Annual Easter Egg Hunt (11605 SE McGillivray Blvd) 10:30 am to 1:00 pm: “FREE Face Painting! Easter Photos: Get your child’s picture or the whole family’s taken for only $5! Photos will be emailed to you later that day! Lunch Available for Purchase: hot dogs, chips, hot chocolate, soda pop, and coffee.” Open to the public. 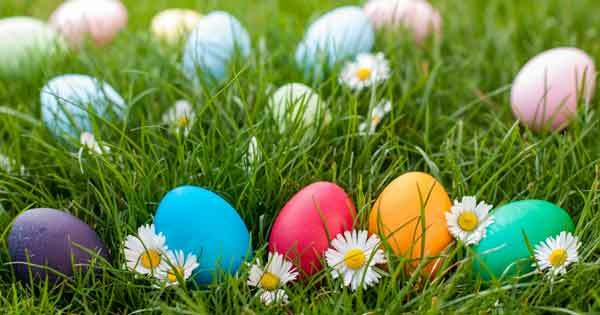 April 21: Easter Egg Hunt at Crown Park (1601 NE Everett Street, Camas) 1:30 PM to 3:30 PM: “Free egg hunt for candy, prize and toy-filled plastic eggs. For ages 2 to 12; all ages start at same time at 1:30pm sharp! Easter Bunny on site. Hat and Bonnet Contest to follow egg hunt. Bring a basket or bag to collect eggs. Event held rain or shine. No animals allowed in park. No registration required.” Hosted by Camas Parks and Recreation.